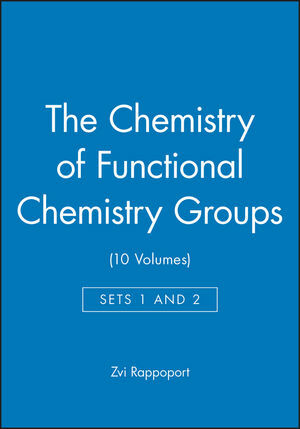 Complementing the six volumes already published in Patai'sChemistry of the Functional Groups series this title covers topicsnot previously updated in the set. Written by key researchers in the field it includes more practicalchapters and industrial examples than before as well as additionalmaterial. There is a strong emphasis on "Poly" derivatives of variousclasses of silicon compounds as well as a chapter on silicon inmodern high-technology. These supplement the "practical" parts ofearlier volumes and enhance past material. 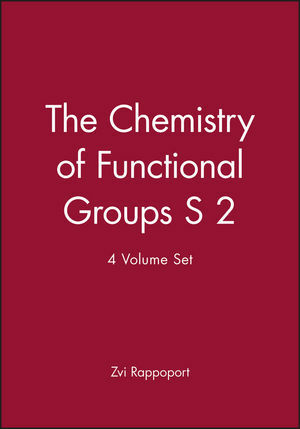 This volume complements the main volumes, with little overlap, andensures the functional group series continues its superiority inthe silicon field. This volume is now available in electronic format from BooksOnline. Professor Zvi Rappoport, Department of Organic Chemistry, The Hebrew University of Jerusalem, Jerusalem, Israel. Theoretical Aspects of Compounds Containing Si, Ge, Sn and Pb (M.Karni et al). Photoelectron Spectra of Silicon Compounds: History andAchievements Concerning their Molecular States (H. Bock and B.Solouki). ?29Si NMR Experiments in Solutions of Organosilicon Compounds (JanSchraml). 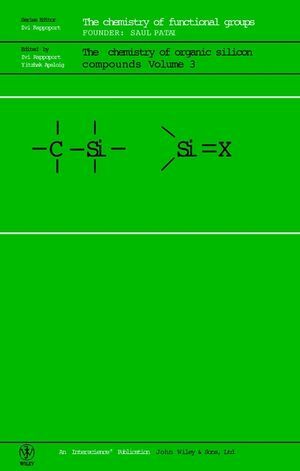 Silyl Radicals (C. Chatgilialogulu and C. H. Schiesser). Silicon Multiple Bonds (Manfred Weidenbruch). Recent Developments in the Chemistry of Compounds withSilicon-Nitrogen Bonds (Peter Neugebauer, Bettina Jaschke and UweKlingebiel). Synthesis and Properties (Uwe Herzog). Synthesis of Multiply Bonded Phosphorus Compounds UsingSilylphosphines and Silylphospides (Masaaki Yoshifuji and KozoToyota). 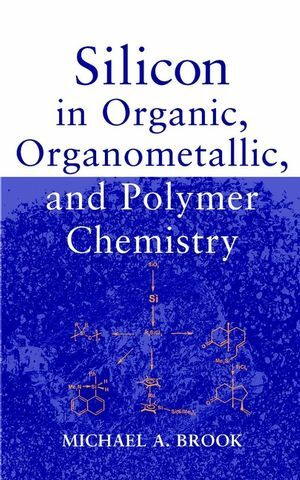 Polysilanes: Conformations, Chromotropism and Conductivity (RobertWest). Inorganic Solids. From Molecules to Materials (Bruno Boury andRobert J.P. Corriu). Containig Polymers (Shigehiro Yamaguchi and Kohei Tamao). Silicon-Based Dendrimers and Hyperbranched Polymers (David Y.Son). Biotechnology Reveals New Routes to Synthesis and StructuralControl of Silica and Polysilsesquioxanes (Daniel E. Morse). Chemistry on Silicon Surfaces (Cheol Ho Choi and Mark S. Gordon). Silyl Migrations (Mitsuo Kira and Takeaki Iwamoto). Kinetic Studies of the Reactions of Si=C and Si=Si Bonds (Tracy L.Morkin, Thomas R. Owens and William J. Leigh). Ion-Molecule Reactions of Silicon Cations (Simonetta Fornarini).